Delta has completed construction on the world’s largest jet engine test cell, the first cell built by a U.S. airline in more than 20 years. The company broke ground on the project 18 months ago. Standing 48 feet tall, with inlet and exhaust sections measuring 66 feet and 78 feet respectively, the test cell is capable of safely running a mounted, stationary engine at full power with 150,000 pounds of thrust. The airline’s current test cell has a 68,000 pound thrust capacity. Delta TechOps provide full-service maintenance to more than 850 Delta aircraft and their engines as well as maintenance services to more than 150 other operators, cargo operators and the military and government, through the airline’s MRO business. 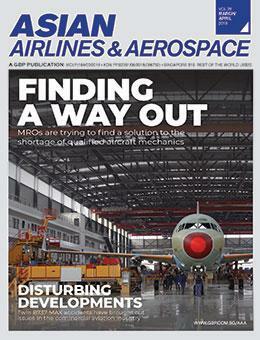 The company expects to grow the top line of the MRO business by $1 billion a year in the next five years.